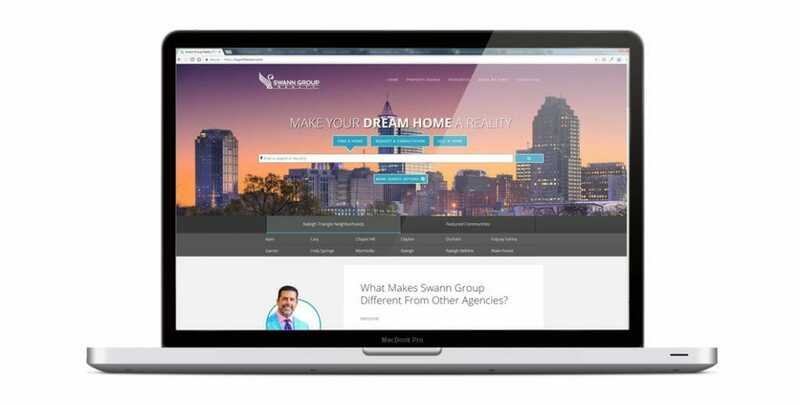 BuyWithSwann.com is a real estate website built on WordPress with a custom Genesis child theme. For property search functionality we’ve integrated and connected ShowcaseIDX to the local Multiple Listing Service (TriangleMLS). Visitors are encouraged to create user accounts and save search parameters. One important feature of note is that users can engage in ‘social share’ in which they can invite friends and family to help take part in their home search. Registered users’ search history is connected to LionDesk CRM for agent management and drip campaign followup. I'd love to hear about your upcoming project. Tell me all about it by filling out our contact form.